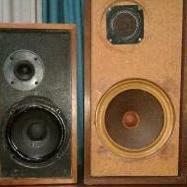 Interests:Vintage audio gear restoring and collecting. Especially US and GB made. It's a job you did very well !! I don't have Dynaco's speakers, but I listened to them, I think your crossover modification greatly improves the sound quality of A25 Dynaco ceramic woofer.